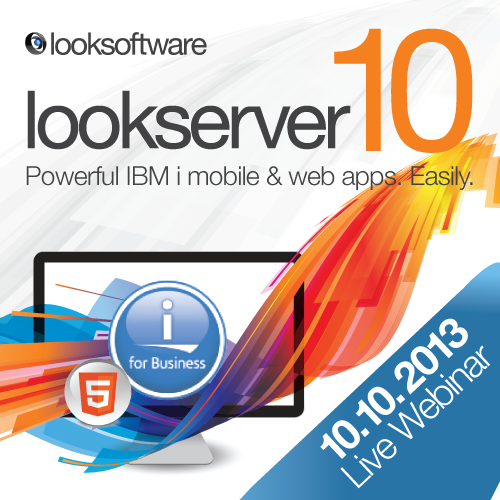 On-demand Webinar: How to build a mind-blowing IBM i app in 45 minutes! Join us for this exciting and interactive webinar to learn how to successfully deliver IBM i applications that users of 2014 demand. Today's applications should be modern, connected and open. Mind-blowing applications take full advantage of the web, mobile and rich desktop interfaces, in addition to web services for easy integration with other platforms and the cloud. Learn how you can integrate and develop new functionality that will run on your IBM i platform, and leverage your existing RPG development skills. Using Looksoftware’s industry-leading solutions and best-of-breed design environment, our team will show you just how quickly and easily you can deliver IBM i applications with core technologies including Open Display Files, more quickly and easily than ever before.